Raising a child with ADHD or having ADHD yourself can be challenging. Here are some resources that may help you increase opportunities for success. Learn about the changing symptoms of ADHD, get daily lifestyle tips, and find out more about Evekeo® CII (amphetamine sulfate tablets, USP). 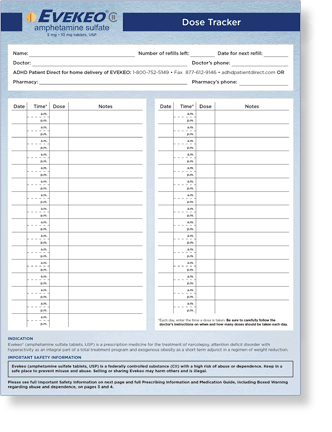 A log where you can record when daily doses were taken, date for next refill, number of refills left, and notes that you may want to share with the doctor. 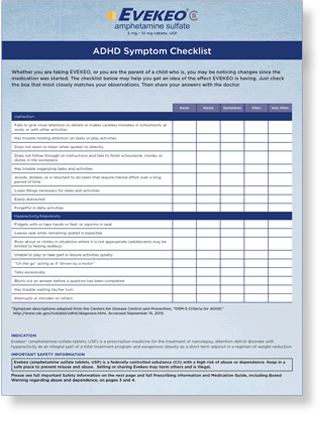 An ADHD checklist to complete and bring with you on your next visit to the doctor to give him or her an idea of the impact Evekeo is having on symptoms. CHADD (Children and Adults with Attention-Deficit/Hyperactivity Disorder) is a well-established advocacy group dedicated to helping people with ADHD. This site contains multiple resources that provide ADHD help for parents, caregivers, teens, and adults. 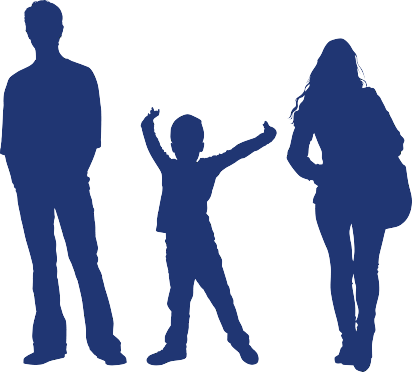 The National Resource Center (NRC) on ADHD is a program from CHADD that provides information on ADHD science, downloadable resources, support, and more. Help4adhd.org is funded by the Centers for Disease Control and Prevention, National Center on Birth Defects and Developmental Disabilities (CDC/NCBDDD). Visit the NRC ADHD Library to explore their database of books, journal articles, DVDs, audiotapes, and other ADHD materials. The NRC also provides helpful information on navigating the legal, insurance, and public benefits systems.